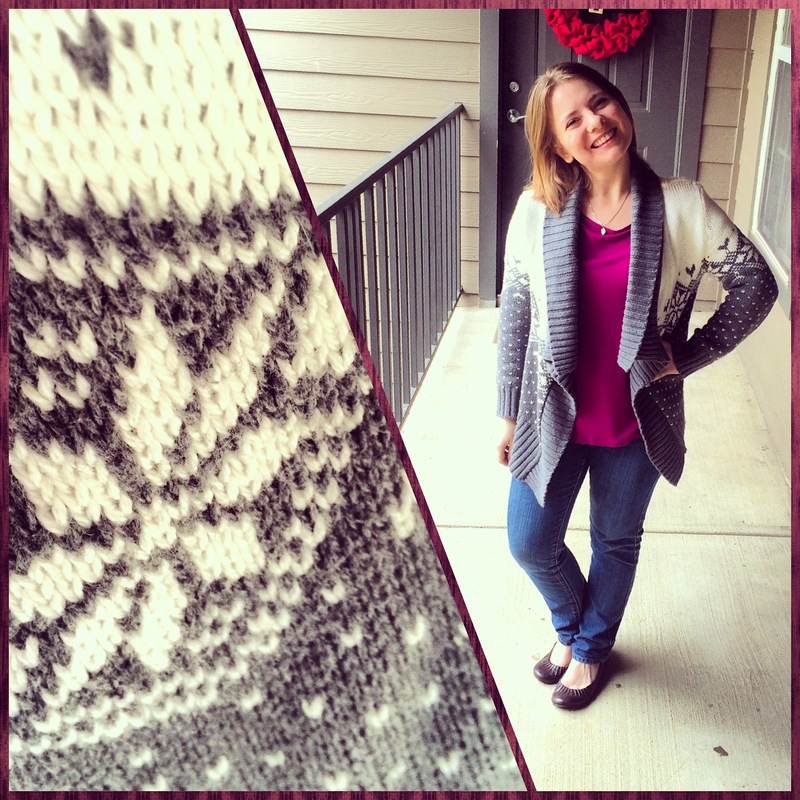 It’s the first Wednesday of 2015… the last week of fashion diaries from 2014… and the last What I Wore Wednesday on the blog! I’ve gotten into such a habit of taking daily fashion diaries that I’ve started to forget why I do it in the first place. 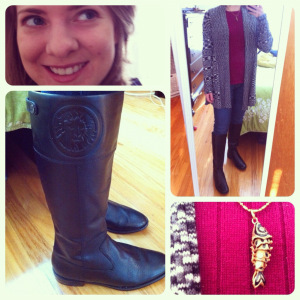 I started posting What I Wore Wednesdays in January of 2012 and haven’t missed a single day since… take a look at this one from the very first week! Three years of daily pictures have been a great exercise in paying more attention to my closet and trying to make the most of it, but it feels like the right time to take a step back. Sometimes I find myself putting together an outfit or buying something new just because of those illusive hearts on Instagram or complimentary comments from friends… which is fine, but also kind of strange if you think too much about it. 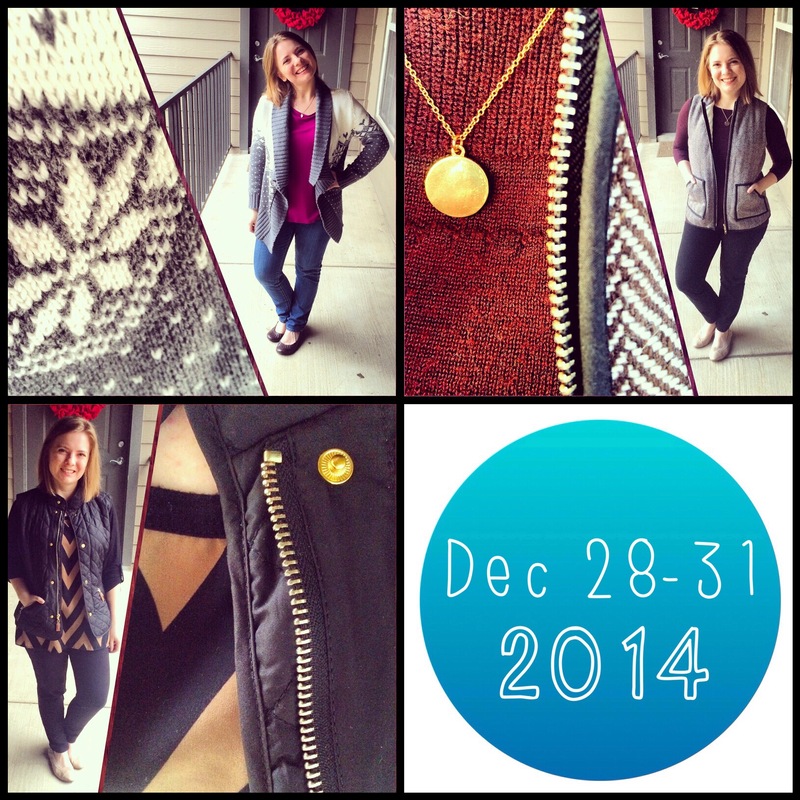 So with a fresh new year, it’s time for some fresh new changes on the blog as well. I’m not sure what will take the place of WIWW every Wednesday, but I’ll think of something! I’m looking forward to having a little more freedom on the bloggity-blog, instead of adhering to the self-imposed schedule to which I’ve become so attached. You can always find past weeks archived on the Fashion Diaries page… and who knows, maybe I’ll start it back up again later. So cheers to 2015 and the last hurrah for fashion diaries! After one last breakfast in AL and packing up the car (so nice not to have to worry about flying! 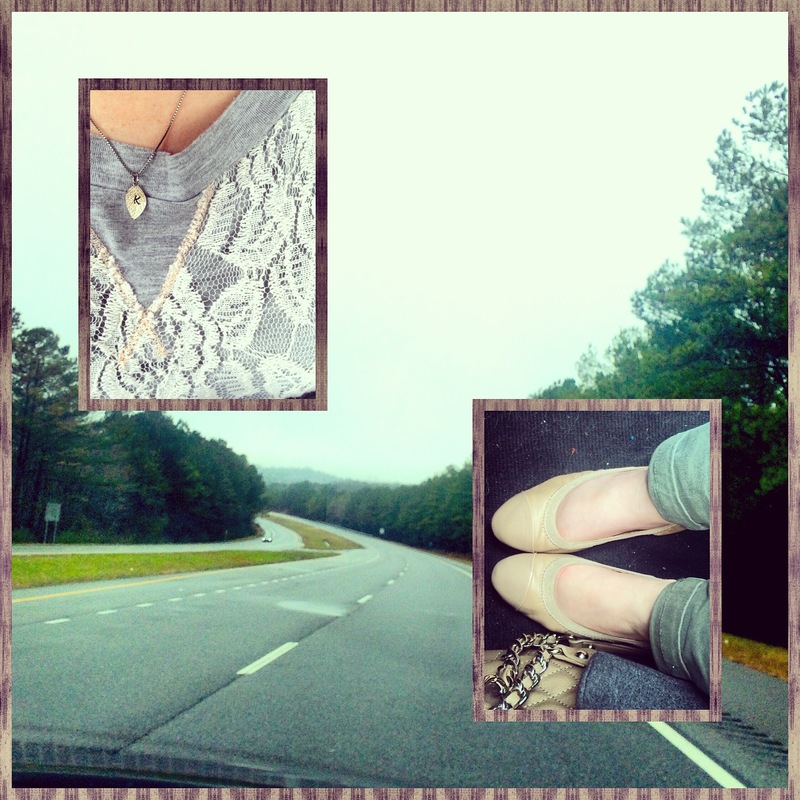 ), we headed back to TN. It’s always bittersweet to say goodbye… but nice to see the cats again and be back in my own bed. We got home early enough in the afternoon to catch up on the mountain of laundry and put away the new presents… and now we get to enjoy them! Back to work… but at least it was another short week! I’ve been throwing this vest on top of everything lately, and I love it! Busy, busy day… but again, not so bad with another holiday coming up. 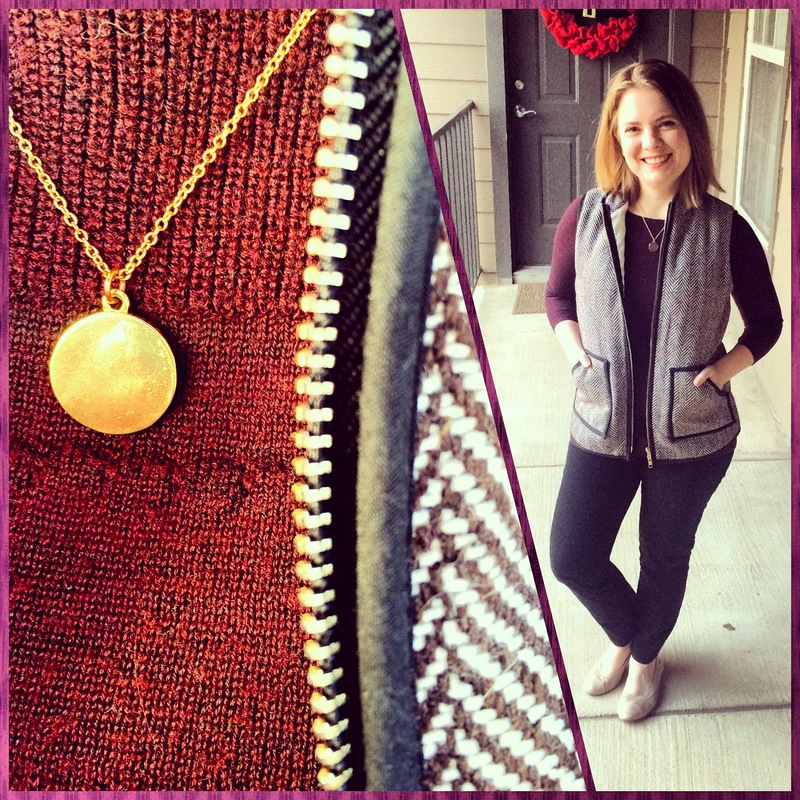 Once again… throw a vest on it! I finally got the J. Crew herringbone knockoff and really like it. Also, a Happy birthday to hubby! His bday always gets a bit lost in the shuffle between Christmas and New Year’s Eve, poor thing. The last day at work for the week wasn’t too shabby with a lovely lunch with hubby’s co-workers and a five day weekend to look forward to. New Year’s Eve! One of our old friends drove up for the holiday, so we hung out all night and rang in the new year at a local bar. It was great to hang out with him again, especially since we probably would have just watched the ball drop on TV if we didn’t have a visitor. I may have overindulged just a teensy tiny bit by the time midnight rolled around… but since this is the VERY LAST fashion diary of 2014, we don’t have to worry about the aftermath of the next day’s fashion and we can just focus on the fun of that night!It’s been a fun journey to chronicle each and every day of what I wore for the last three years… but I have to admit, I’m looking forward to walking out the door each morning without thinking about the camera! Cheers to 2015!! 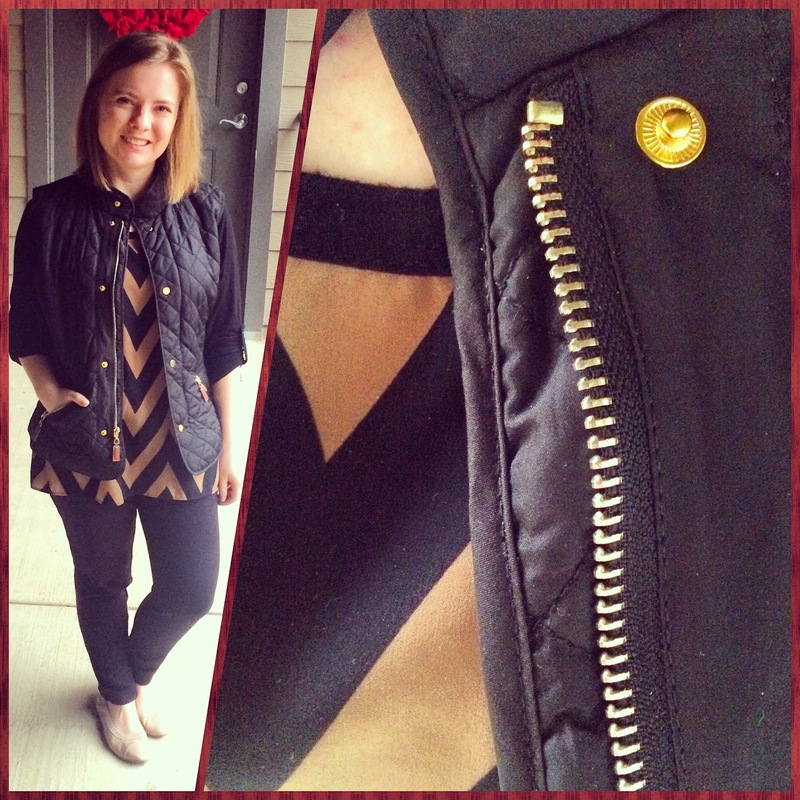 I’m linked up to The Pleated Poppy again for my last WIWW… it’s been fun! Love the outfits, can’t wait to see what’s next!